Here you can find an updated list of loosest slots USA. As you probably know, not all slots providers publish payout percentage for individual slot machines. On the list below you can find only slots that offer official payout rate. Cosmic Quest – Mystery Planets is currently the first on our list of loosest slots USA available online. It is a 5 reel, 20 lines game. The minimum bet is 0.01 per spin and goes up to $ 50. The reason for the high payout is the high Free spins feature and the expanding Wilds. If you land 3 or more Jackpot Jetpack icons you will get 10,25 or 50! free spins. All free spins wins are doubled. The best casinos to play Cosmic Quest slot are Slots Capital and Cafe Casino. Rock On Slot is an edgy Rock themed game, part of the popular i-Slots series. Here you can also find expanding wilds, free spins feature and a special Guitar Hero style bonus game. This slot is a relatively simple to play, for sure in comparison to Cosmic Quest. One of the best online slots of all times (at least in my opinion). What is special about Good Girl Bad Girl slot is that you can control the volatility of the game. Choose the Good mode – and you have more frequent payouts of lower nature. Choose the Bad mode and you get a high volatility slot with less payouts, but higher chances to win big. Very Cool! You can try this slot now with a special $22 No deposit bonus at Slots LV casino. Here you can find Slots LV Review. RTP: 97.8% . Rival Software. Doo-Wop Daddy-O is a simple and playful slot machine. There are 2 bonus games features however the secret to the high payout is in nice payouts during the regular play. The minimum bet is 0.01 per spin and goes up to $ 20. You can try this slot with $10 no deposit bonus at Cafe Casino. This a new 3D slot by BetSoft. The game offer 4 bonus games and features and 3 progressive jackpots. The maximum jackpot of At the Copa slot is 430,000 coins ($43,000). The minimum bet per spin is $0.02 and up to $15. $22 No deposit bonus at Slots LV casino. Unique interactive slot machine with Candy Crush theme. Sugar Pop slot has multiple play levels which you can unlock by filling the bar on the left. 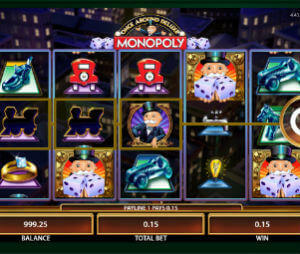 The higher the level – the higher the payouts, therefore It’s worth playing this slot for some time. Best BetSoft real money casinos: Slots LV and Ignition casino. If you wish to play on mobile, check our Slots LV mobile casino review. The online 3 reel slot machine on the list. If you are a classic slots fan, Gold Rush is a great place to start. The payouts are not high, but very frequent. The best casinos to play Gold Rush are Slots Capital and Ignition casino. Another multiple bonus feature BetSoft slot on the list. The payouts of After Night Falls slot are a bit less frequent than on At the Copa, but the max jackpot is much higher: 1,550,000 coins or $155,000! The bonus features include Collapsing wilds, Random multipliers, Click me bonus and more. Best BetSoft real money casinos: Slots LV and Ignition casino. This is a Safari themed 5 reels slot. Again, various bonus rounds and features (some might say a bit too much). The max jackpot here is lower than in other BetSoft slots on the list and stands on 250,000 coins, however the max coin value is $1 (vs the common $0.1), therefore the maximum win can be worth $250,000! Best casinos to play Safari Sam slot are Slots LV and Cafe casino. If you wish to play it on mobile then check our Slots LV mobile casino review. Even without the nice RTP, this is one slot machine that you just have to try. We can’t explain exactly way, maybe it’s the time limited levels, maybe the intriguing murder mystery theme. You will have to see for yourself. Best casinos to play for real money: Slots LV and Cafe casino. RTG is by far the most popular slots developer on the US market. However to be honest, it’s rather due to smart management and being in the right place at the right time than the quality of their slots. RTG were in the perfect place to take the market by storm when Microgaming and Playtech pulled out in 2006. Then, when VegasTech left in 2011, they became a real monopoly. Since then Rival gained more ground, BetSoft entered the market and VegasTech returned under a new name (WGS), but RTG is still the market leader in terms of the number of players at their slots. If we had to describe RTG slots in few words, we would say that they main focus is on classic 5 reel video slots. Recently there is a feeling of new blood in the company with 6 reel and 3D slots being launched, but 5 reels are still their bread and butter. Offer more slots than any of their competitors – over 200 machines. Recently left their comfort zone and started launching different and innovative games. Progressive slots which are impossible to hit. If you do with to play RTG Mega progressive slots, the place to do that are Bovada group casinos: Slots LV and Ignition casino. The games here are not disconnected from RTG chain progressive network and actually paid few 7 digit jackpots. The second biggest provider on the market. Rival is the opposite case to RTG. They offer superb slots, with high payouts and medium/high volatility – perfect combination to generate nice winnings. However in terms of management they weren’t aggressive enough and suffered from poor choice of operators. That has changed and currently there are plenty reputable Rival casinos for US players to choose from. Post official RTP – not for every slot, but for most of them. High payouts + high volatility. There are still many tiny Rival brands which can be risky and should be avoided. Stick only to known and reputable brands with long history of operation. WGS came to life after the closer of VegasTech. The games were sold and relaunched under the new name – Wager Gaming Technology. So far, WGS haven’t managed to recreate the success of its predecessor. There are only few casinos that offer that software and unfortunately, not many new games were launched in the past few years. WGS are definitely not the leaders when it comes to innovation, but they do know how to produce nice video slots. The highlights are their 7-reel slots and the superb Slots Tournaments which attract thousands of players. Nice 5 reel video slots plus few unique 7 reels. Launch only 2-3 new slots per year. Not offered by many casinos. Not very creative when it comes to design, layout and features. BetSoft is an extremely popular game supplier worldwide which recently (2012-2013) entered the US market. The company is ranked as #1 3D slots provider. Their games feature extensive graphics, animations, video effects and sounds. With BetSoft is either you love it or you hate it. Some enjoy the arcade like look and various bonus features (some slots offer 6 different bonuses). Others hate the slow game play with too many interventions. Highest average RTP on the market. Not for classic slots fans: many stops, pauses, videos which might get annoying after some time. Do not offer official RTP stats.